If, like me, rosehip oil, rose extract and rose water are staple ingredients in your skincare routine, then there is great news that will save you a nice bit of money. 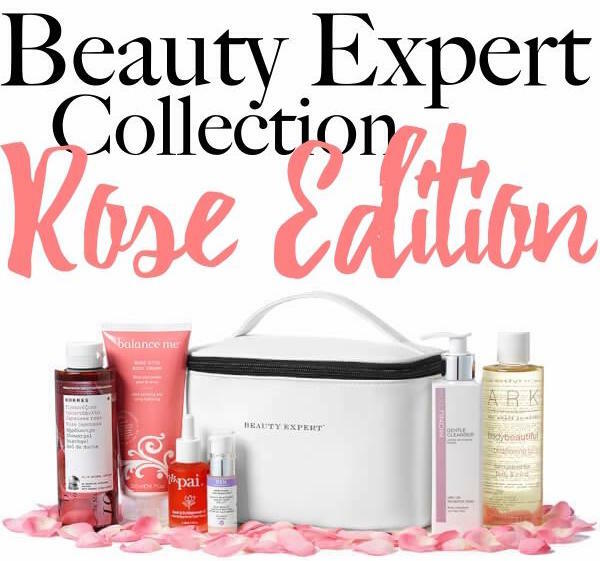 Online retailer Beauty Expert has a special Rose Edition collection put together for just £50, inclusive of worldwide shipping costs - everything is full-sized, and the individual cost of the products actually comes to a whopping £134. That's a saving of £84. Not bad, eh? Scroll down for more details about the Beauty Expert Rose Edition Collection. That's six full-sized products, all of which are mid- to high-end, clean-beauty brands. The products are packaged in a beautiful train case. I have used three products from this set - the Pai oil (a HUGE favourite; excellent for acne scarring), the Monu cleanser and the Ark oil (which I use on my hair). Restore, regenerate and intensively condition lacklustre skin with this rose-scented fruit and seed oil blend. Super potent in concentrated fruit hip oil, with twice the regenerative sterols and five times the carotenoids of seed oil, feed your skin with the most essential nutrients. Perfect for those with dry, irritated or sensitive skin types. The fresh infusion of rose and geranium essential oils deliver a relaxing aroma, while the wheat germ, peach kernel and coconut oil provide the skin with the TLC it deserves. This gorgeous multi-purpose beauty elixir can be used as a massage, bath, body and hair oil. Containing sweet almond oil, abyssian oil and sacha inchi-seed oil, this unique blend rejuvenates your senses and ensures your skin receives maximum results. Hydrate, firm and protect skin with this luxurious body cream. Rich in skin-quenching ingredients, including arctic cloudberry and organic aloe vera, this exquisite mix is then blended with softening rose otto, palma rosa and rose geranium. Refresh and awaken your skin with the irresistible scent of delicate rose petals. Energising wheat proteins help form a protective layer on the skin to maintain the skin’s natural moisture levels, while antioxidant enzymes enhance the overall immune system of the skin. This ultra-lifting, firming and replenishing eye cream instantly lifts and brightens the entire eye area. The powerful cocktail of ingredients helps target signs of ageing, crow’s feet and expression lines - resulting in a smoother, tighter and revitalised appearance. Beauty Expert ships worldwide, and standard shipping is free; tracked delivery is free for orders above £50. Go here to order the Rose Edition collection. This would make an amazing Christmas present for someone special. I'm getting one for my Mum. It is a great pampering set with everything you need for a solid skincare routine. No discount codes are applicable, as this itself comes highly discounted. 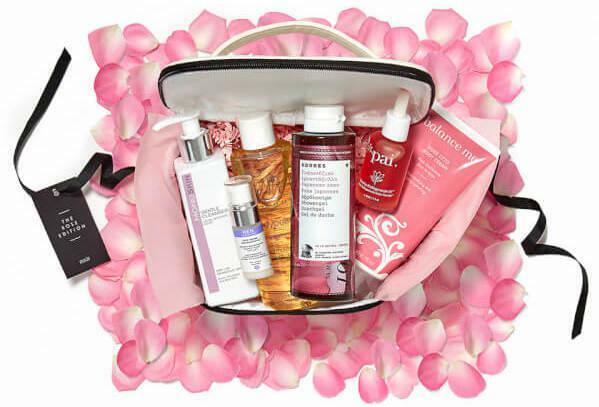 Beauty Expert will soon come out with another highly discounted Radiance collection, worth £234, with high-end brands. I'll post once it is out (and will be buying it), so stay tuned.